Are you ready for this week of good food, leftovers and tasty treats?! We sure are. 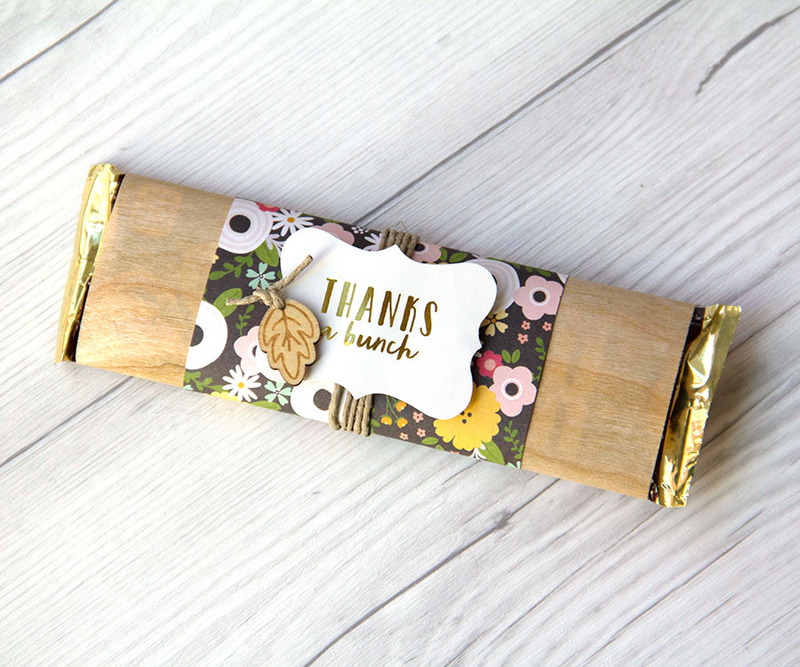 We are starting this Thanksgiving week off right with these darling little wrapped treats. 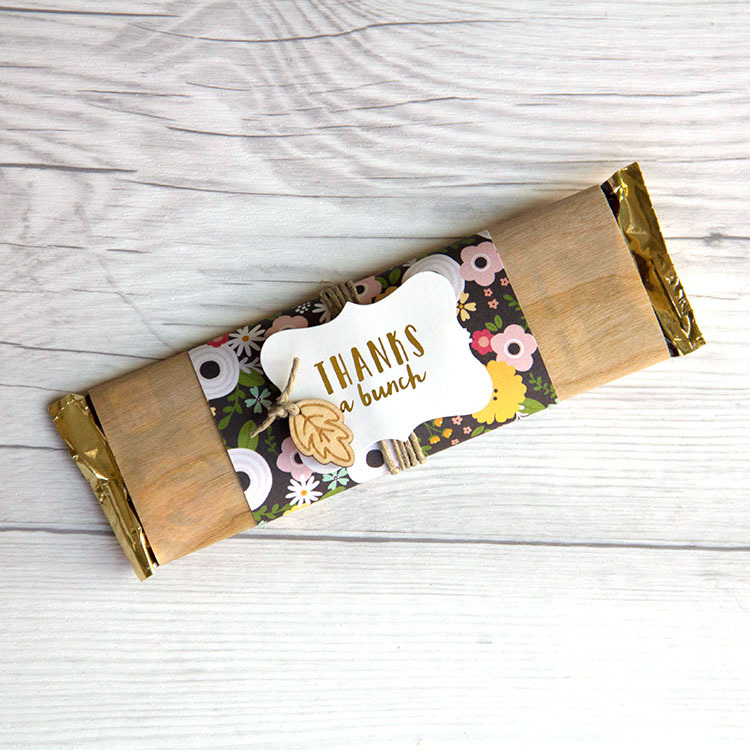 We took simple candy bars, wrapped them in Real Cherry Wood paper and dressed them up with a few additional embellishments. Cute and tasty, the perfect way to show THANKS. Now onto the big feast. 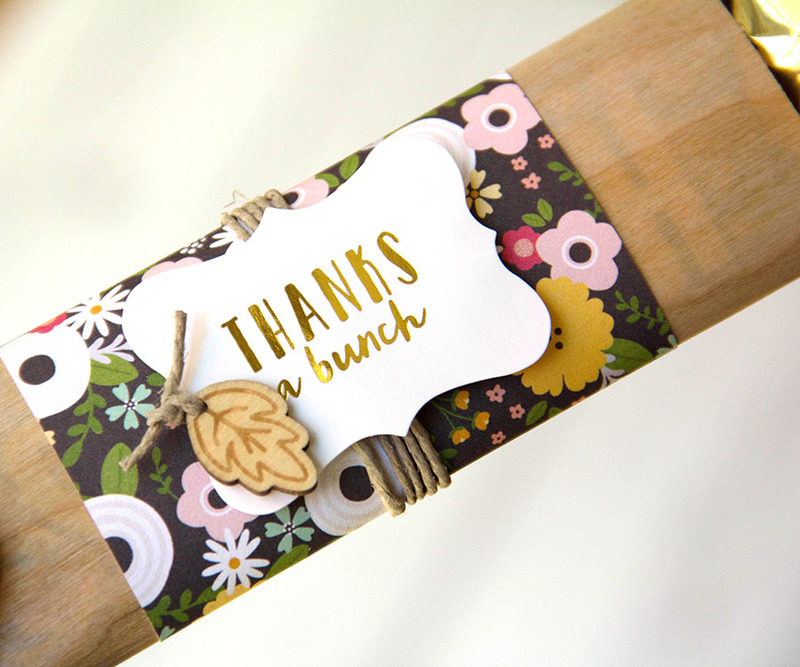 This entry was posted in Crafts & Kits, DIY Projects, New Seasonal & Special Occasions and tagged Candy Bar Wrapper, Cherry Wood paper, Thankful, Thanksgiving, treat decor, Treat packaging.